Looks like the pirate AI spawn priority is broken just like the MI was... Game spawns dozens of transports and a handful of corvettes and just throws infantry at any planet in sight. methinks something is broken <hint hint> that the devs really need to look at. as it is its next to impossible to make any progress vs pirates in dres-kona when they take everything back within 6 to 8 hrs. its just not right. 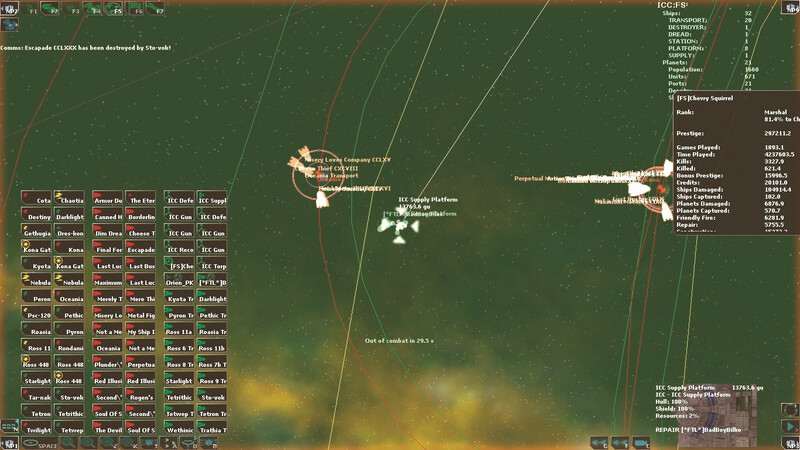 Well nobody plays pirates so obviously the pirate AI needs a lot of ships to compensate for it. okay fine it'll be looked at. ICC Intelligence has become aware of an alarming rise in the amount of Piracy in the former 'safe-zone' in the Systems of Ross 448, Dres-Kona and Ross 348. ICC Admiralty has gathered extensive reports as to the scale of the rebellion and has determined that such a lawless state of abandon has not been seen in the galaxy since the times of McCormick's Pirate Empire of aeons past. New types of vessels rich in E-warfare capabilities as well as new missile based vessels have been spotted and although most of the ships are transport class 'Cargo Tender Conversions' there has also been a rise in the amount of generally small combat-type vessels. Shipping has been disrupted, Planets captured and many lives have been lost since this most recent outbreak began. The destruction of Pirate held Shipyards has also done nothing to curtail the launching of these freebooters and their raiding ships. They just keep on coming. Dev's above! Whatever can we do - Just think of the poor digital children! Thank you. 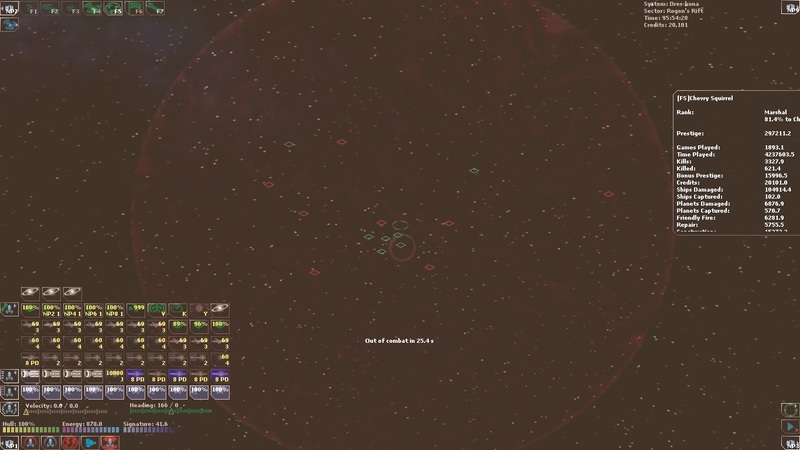 Feel free to keep the number of ships the same, just make them combat ships! Powered by phpBB� Forum Software � phpBB Group Page created in 0.049309 seconds.